A traditional funeral assumption has been that the more you spend, the better respect you are showing your loved one. But times have moved on. To spend wisely does not cheapen a funeral. Whether you have many people to consider, or just a handful of nearest and dearest – it is how you say goodbye, in your own unique way that matters. If you need to organise a funeral on a budget in London, then White Rose Modern Funerals can help you. A low cost funeral will save you money, but you can still make it a personal, dignified and respectful event. London is normally one of the most expensive locations in the UK for funerals. The average cost of a cremation in London is over £4,000 and burials can easily cost over £7,000. 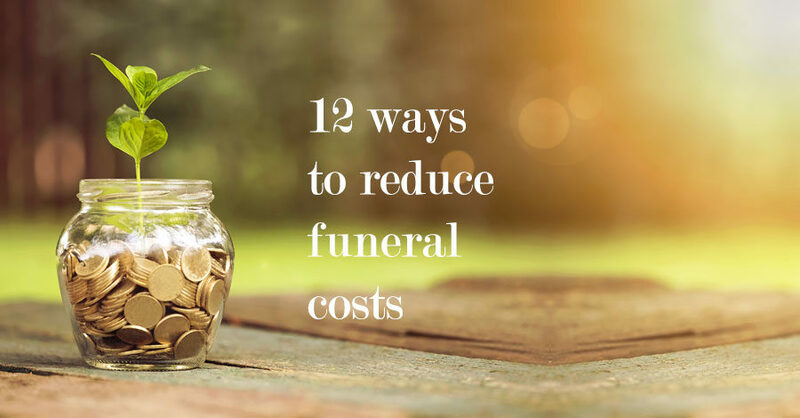 However, there are ways to get a far cheaper funeral if you are prepared to go without some of the bells and whistles that a traditional high street funeral director may normally provide. So how can you save money on funeral costs in London? A cremation funeral costs less than a burial because you don’t have to pay for a cemetery plot or memorial headstone. Cremations account for around 80% of funerals in the UK. At White Rose Modern Funerals, we provide No Fuss Funerals from just £950 (plus disbursements) for a non-attended low cost direct cremation and £1,350 (plus disbursements) for an attended simple cremation. Our ethos is to help you minimise costs that may be seen as unnecessary, whilst still ensuring that the funeral is respectful, dignified and personal. Rather than hiring an expensive venue and catering for the reception, could you host it at home or in a smart but inexpensive pub? White Rose Modern Funerals in Teddington is led by a husband and wife team. Our flexible, caring approach answers the modern needs of a family when faced with planning a funeral. When a loved one dies, you may have ideas that you want help with, or feel too numb to have any ideas at all. Our approach is to give you a simple starting point – No Fuss or Personalised – and the flexibility to explore what is right for you. We also help to minimise unnecessary costs – there are elements to a funeral that you may not want or need. Our No Fuss funerals are for when a family does not want a full service, preferring a private, personal way to say goodbye. We create a soft environment at the crematorium for just immediate family. Mugs of tea, your choice of music, a favourite photo, simple flowers and just a quiet time to reflect. Some families choose to have no service – separating the cremation process from a later ceremony held elsewhere. And our Personalised Funerals are bespoke to what a family wants. A recent family built their own boat coffin for their sea loving pops! It was a unique, moving goodbye. At your time of need, we visit you at your home, or you can meet at our private office by appointment. Do call us, we’d love to help. If you have any questions regarding organising a low cost funeral in Teddington, Twickenham, Richmond upon Thames, Kingston upon Thames or South West London – or to arrange a direct or simple cremation – please call White Rose Modern Funerals on 020 3281 1045 and we will be happy to help. We can arrange a home visit to discuss the options and explain exactly how it works.